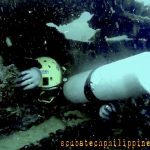 Scuba diving is all about getting gas into your body while you are underwater. 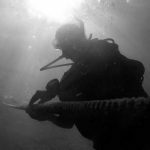 What complicates scuba diving is the way gasses behaves at depth, under pressure, in your body and in your equipment. 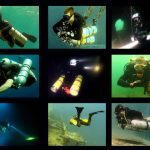 To dive safely and effectively, you need to understand all the behaviour of these gasses intuitively and how they affect the techniques and practice of scuba diving. As part of your scuba certification, you will have come to understand certain principles of physics, in particular, the scuba gas laws which apply to diving. 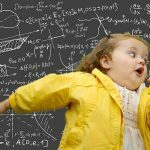 When you understand the scuba gas laws all the intricacies of nitrogen management, off-gassing and even the process of inflating and deflating your BCD will make more sense. The constant k does not need to be known to understand the relationship between P and V.
When you increase the volume the pressure decreases. 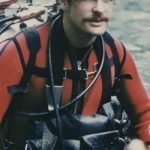 This Law is often applied to demonstrate what happens during ascent and descent and how it compensates the pressure in the BCD, lungs, mask and anywhere else that air is contained. 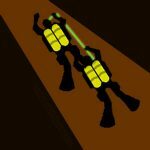 As you descend, pressure increases. As pressure increases volume decreases, so the same amount of air takes up less space. Because of this, as you descend you will notice that your BCD “deflates”. It is not losing air, it is compressing the same air into a smaller volume. 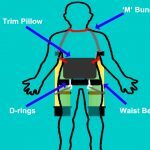 You may also notice other effects of airspaces being compressed – wet suits fit less snugly (if you are wearing a thick neoprene suit this is even more apparent) and the airspace behind ears becomes decompressed. When equalizing you need to let more air into your Eustachian tubes to compensate for the reduction in volume. Likewise, as you ascend pressure decreases and volume increases. 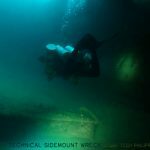 A full BCD at depth will become fuller as you ascend – that is why you must release air from your BCD as you ascend. More importantly, it is important to exhale from your lungs as you ascend. If you hold your breath while ascending the air in your lungs expands beyond capacity, which can cause painful internal injuries. 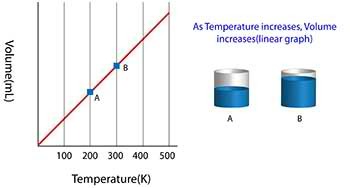 T is the temperature of the gas, V is the volume and k is a constant. In a nutshell, Charles’ law says that cooling a gas decreases its volume. 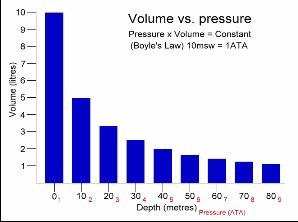 If the volume remains fixed then the pressure must decrease. A suitable example of this phenomenon is a scuba tank bursting because it is left in the trunk of a hot car in the tropical sun (temperature rises, the volume is constant and pressure increases). Likewise, as you ascend pressure decreases and volume increases. 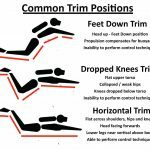 A full BCD at depth will become fuller as you ascend – that is why you must release air from your BCD as you ascend. More importantly, it is important to exhale from your lungs as you ascend. If you hold your breath while ascending the air in your lungs expands beyond capacity, which can cause painful internal injuries. K = the Henry’s Law constant. To a scuba diver, Henry’s Law tells us that at higher pressure our bodies will absorb more gasses. At great depths, the amount of nitrogen (and other gases) absorbed into our blood and tissue is greater than the amount absorbed at shallow depths. 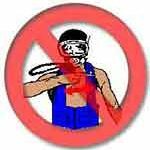 That is why a diver going to 100′ has a greater risk of decompression illness than a diver who dives only 30 feet. Since the shallow diver has absorbed less gas, it is less likely to come out of solution in the body. 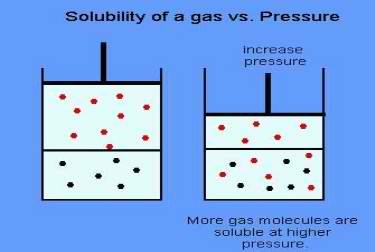 The total pressure exerted by a mixture of gases is equal to the sum of the pressures that would be exerted by each of the gases if it alone were present and occupied by the total volume. In other words, as pressure increases, partial pressure increases and vice versa. Dalton’s Law specifically deals with partial pressures. 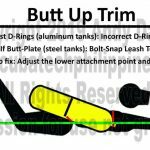 These are relevant to a number of issues in diving, including decompression, gas toxicity, use of breathing mixtures other than air, and maximum operating depths for diving. This article focuses on gas toxicity. 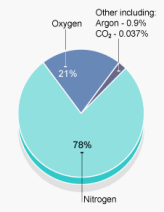 The air compressed into a scuba cylinder is for all practical purposes a gas mixture comprised of 79 % nitrogen molecules (N2) and 21 % oxygen molecules (O2). 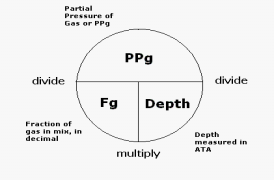 While these gas percentages define the ratios between the number of gas molecules in the mixture, it is the partial pressures of each that is responsible for the physiological effects of the individual gas. As the diver descends, they breathe increasingly more dense air because the regulator delivers air at a pressure to match the external (ambient) water pressure. Thus, Dalton’s Law dictates that the diver is breathing correspondingly more oxygen and nitrogen molecules, per breath, the deeper they go. It is the partial pressures of each that is responsible for the physiological effects of the individual gas. 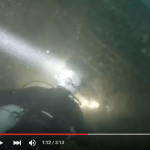 Increase partial pressure of nitrogen can cause narcosis. The increased partial pressure of oxygen can cause toxicity (convulsions and unconsciousness). 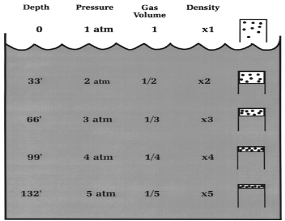 As we have seen; the deeper a diver goes, the higher the partial pressures exhibited by the component gases in their breathing gas. Breathing oxygen is vital to sustain life, but at higher partial pressures, oxygen becomes toxic. The maximum O2 partial pressure a human nervous system can safely stand is 1.6 ata. 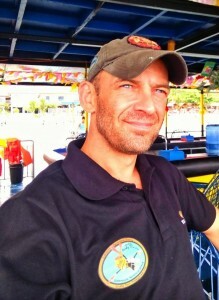 (PADI recommend 1.4 ata PPO2 for normal diving). 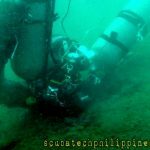 Should a diver lose track of their depth and pass below the safe Maximum Operating Depth (MOD) for their breathing gas (air or nitrox), then they would become susceptible to oxygen toxicity.